In Visitours we want you to enjoy all the cultural, natural and heritage beauty that gives us so Andalucia organize excursions from Seville to other cities such as Granada, Cordoba, Jerez and Gibraltar, always in the hands of our tour guides who will share of detail all the history and curiosities of the places visited. 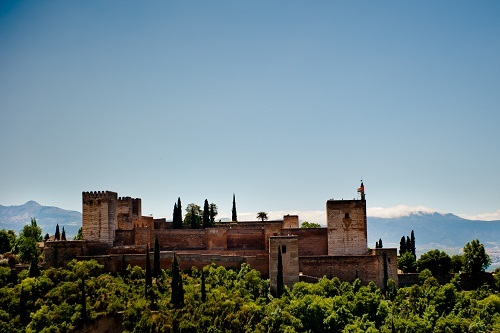 Join a Group, and visit the Alhambra of Granada Alcazaba, Palace and Generalife Gardens, including: Guide, Ticket and Transport. Departure: DIALY (Except 25th of December & 1st of January). 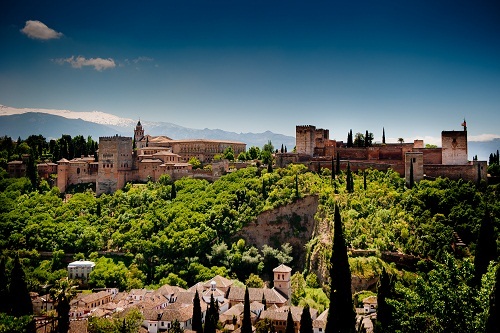 The Alhambra is the jewel of the crown of this beautiful city at the foot of the Sierra Nevada. 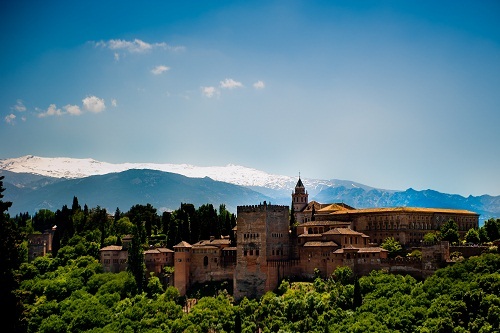 You will visit the Nazarí city, the Alhambra, where everything even down to the smallest stone is a work of art. During the tour of the Palaces, rooms, dining rooms and magnificent gardens you will realize why the last Arabic king cried when leaving it after being overthrown by the Catholic Kings. You will also discover the Generalife Gardens with an official guide, one of the most impressive gardens in the world. After the tour, you will have free time in Granada before finally returning to Seville after an unforgettable experience. Departure Point & Time: Pick-up at your hotel in Seville city center between or meeting point assigned by the agency 06:15 am & 06:45 am. Return Point & Time: Drop-Off at your hotel in Seville city center between or meeting point assigned by the agency / The tour will finish at 7:00 pm approx. Note: Children prices: 0-5 years 20€ / 6-11 years 50% Discount. Join a Group, and visit the Alcazar of the Catholic Kings, Mosque-Cathedral, Jewish quarter and Synagogue, including: Guide, Ticket and Transport. Join a Group, and visit the Wine Cellars, Equestrian Show and Sightseeing Tour of the bay of Cadiz, including: Guide, Ticket and Transport. Join a Group and visit the Doñana National Park, including: Guide, Ticket and Transport. Join a Group and visit The Bullring, Santa María la Mayor Church, Old Quarter, Lookouts and New Bridge, including: Guide, Ticket and Transport. Join a Group and visit Gibraltar, Punta de Europa y Cuevas de San Miguel, including: Local Guide, Ticket and Transport.